Amazon is by far the largest online store around the world. In most countries, Amazon generates a significant percentage of the total online trade. Amazon marketplace allows external sellers easy access to its enormous potential. 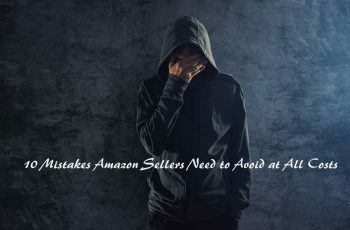 The question remains as to how become a successful Amazon Seller? How to increase my sales on Amazon? How can I increase my sales on Amazon? The answer to this is, it is not very simple but it is not that difficult either. It’s pretty obvious that you become a successful Amazon seller only when you have a high Sales rate. We shall start with the very basics of Amazon Selling to provide a clearer picture. For this purpose, let’s take a look at the typical buying process on Amazon. It explains the success factors that determine the sales of a product. We’ll then see the adjustment screws available to an Amazon Seller to positively influence the success factors. Some of these are very crucial ones. Sellers have significantly more opportunities to improve the ranking of their products. And also the ownership of Buy box by lowering the price. To understand the success factors on Amazon, we’ll look at the buying process from the user’s point of view. This will help understand the relevant decision steps taken to decide for or against a product. With these decision-making steps, sellers must ensure that users opt for their products. 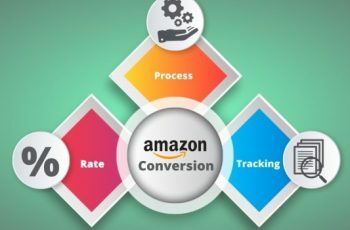 The purchase process on Amazon business strategy consists of three simple steps. Users search for specific products, they click on some products and ultimately buy one of them. The purchase process usually starts on Amazon with a search. Users enter a search term (“keyword”) into the search field and click on “search”. Amazon will then show users a list of all the products that match the requested keyword. The product sorting is according to a relevance that Amazon considers. 16 products come up in the search results per page for a user. By clicking, the user reaches the next search results page where the next 16 products are displayed. As the second step, a user clicks on the products that have aroused his interest. These are the products which he would like to get further information. Extensive studies on click behavior on search engines show that more than 90% of users only observe the results of the first page. As a result, the further back a product is listed, the lower the likelihood that the user will see and click on it. Without clicking on a product, the product can not be bought. In order to be successful on Amazon, products have to be as high as possible in the relevant search terms. After a user clicks on a product, he or she will go to the product page from the search results page. There he can find out more about the product and its characteristics. The most important thing though is that he also buys the product on the product page! Since many sellers can sell the same product at different prices, the question arises as to which seller the user will buy from. In principle, a user can have a further click, to display the list of all sellers and offers, in order to make a selection himself. As per studies 85% of the users buy from the merchant, who is automatically placed in Amazon’s shopping cart (“Buybox”). So to be successful on Amazon, sellers must therefore be a pre-selected seller in the shopping cart. In summary, the user decides (in the second step) which product he wants to buy. In the third step (buy) he decides which seller he will buy it from. 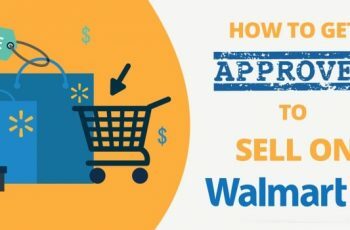 From the analysis of the buying process, a seller maximizes his sales on Amazon, when his products appear in the top positions for all relevant search terms and he always appears in the buy box. In order to increase sales, sellers have to optimize these two success factors, i.e optimize the ranking and optimize the ownership of the ‘buybox’. An important aspect of the optimization, however, is that the ranking optimization or the buybox optimization is usually different for different products. Only in exceptional cases should a seller in a product optimize both the ranking and the buybox. The optimization of a product depends on the type of the product. All the products on Amazon fall into either of these categories. If it is an own product or private label product (i.e there’s only one seller for a product), the search ranking optimization is the focus. In the case of in-house products, the seller usually has sovereignty over product titles, product descriptions, product information and product images – a pre-requisite for ranking optimization. A buybox optimization is superfluous, after all, there are no other sellers. Ranking optimization increases the sales of your own Amazon product. In the case of third-party products (i.e products with a minimum of 2 sellers), the focus is on the optimization of the buybox. Of course, sellers can also actively optimize the ranking of relevant keywords for third-party products. The problem is, however, that sellers – if they have no ASIN priority – have no controlling influence on the product presentation (title, description, etc.). This makes optimization less predictable. In addition, sellers usually do not take the additional effort and optimize the ranking, just in order for another seller to be in the buy box and receive the additional sales. Exceptions to this rule are, for example, products from (known) brands. The brand manufacturers should also carry out a ranking optimization even if there are other sellers next to them. Finally, they also benefit from the sales generated by their intermediaries. It is thus clear that the correct classification of the products into the two product types is very important for optimization. In the case of own products/private labels, the number of clicks is to be increased by a better ranking. In the case of third-party products, a merchant should generate more purchases from the existing clicks by owning the buybox. Typically, sellers have products from both product types in their product range. However, many sellers have a focus on products of a particular product type. If a shoe manufacturer sells, for example, the shoes of his own brand and additional footwear accessories from other brands, the ranking optimization of his own shoes is probably the focus. 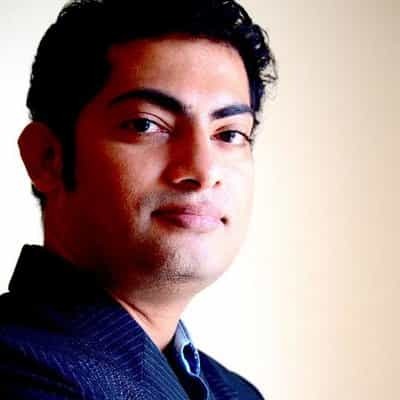 If a wholesaler has 20,000 electronic products in his assortment, including 50, where he has exclusive marketing rights, the focus is on the optimization of the buy box. 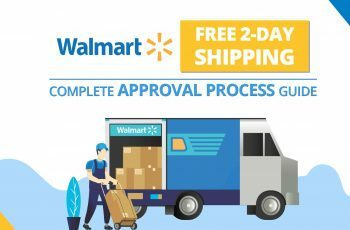 What are the adjustment factors for sellers to optimize the Amazon product ranking and the buy box? What can I do to optimize the ranking of my products or increase my ownership of the buy box? The set-screws, actively used by sellers to increase their own success, can be deduced from the priorities set by Amazon. Amazon receives a variable seller fee of 7-20% of sales for each successful transaction. Sales are again composed of the number of purchases and the price of purchases. The number of purchases depends on many factors, but can be influenced by Amazon mainly through two main factors. The first factor is the range. If a user wants to buy a product and doesn’t find it on Amazon, it can come to no transaction and Amazon escapes income from seller fees. The larger the range, the more transactions come to Amazon and Amazon makes more profit. The second factor consists of several sub-factors, but for simplicity, we have summarized the shopping experience. 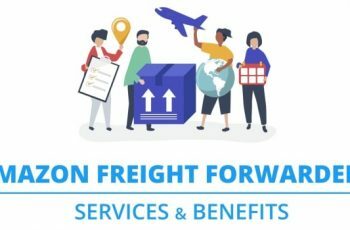 This includes, in particular, shipping conditions (duration and costs), product presentation (images, description, …), redemption conditions, comfort (no new account), user-friendliness (reviews), customer service (reaction time), etc. If a user has already set up an account and goes to a shop with products presented in detail, the products are delivered within one day, there are no complications, quick customer-friendly interactions and more give customers a very high shopping experience. If you compare this store with a store where the products are displayed without pictures and description, the user has to register extensively, the product only arrives after 2 weeks and then can not be returned, it should be clear which shop customers would prefer buy. In the short term, a positive shopping experience leads to more purchases and increases customer loyalty in the long term, which leads to more purchases. Amazon is interested in the fact that the set screws are optimally adjusted, as Amazon maximizes its profit. Exactly those adjusting screws are also crucial for the seller on Amazon and the success of his store and should, therefore, be set as best as possible. A successful store not only looks great at the retailer, but also at Amazon. 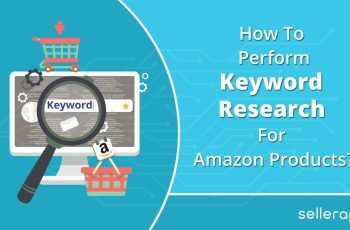 For this reason, Amazon rewards those sellers who use the above-mentioned set-screws optimally by using the underlying algorithm in the keyword ranking and in the buybox. 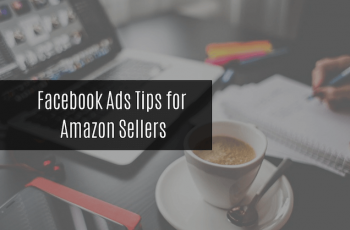 For sellers, it follows that they have two more big set-ups besides the price, which they can use to increase their sales on Amazon. Through a unique range, which has not yet listed on Amazon, seller will automatically enjoy a good ranking with the associated keywords. If a retailer is the only one to offer a rare Ming vase, he will be in the front line with the search term “rare Ming vase”. Likewise, he will automatically have the buybox, since there are no other sellers on this product. Through a good range, the competition can be reduced or circumvented. However, if one is in direct competition, shopping experience and price are the decisive factors. Not all factors of the shopping experience is in control of sellers. For example, sellers have no influence on the check-out process or user-friendliness. However, sellers have a clear influence on other factors of the shopping experience. In particular, the product presentation, the shipping conditions, and the customer service fall into the territory of the sellers. Since Amazon itself profits from a good shopping experience, Amazon will reward the retailer’s efforts to improve the shopping experience accordingly. Many retailers believe that to rank higher in Amazon one has to lower their price. This is not true. Neither is the most favorable product for the relevant keywords always in the first place nor is the most favorable price offered always in the buy box. This can be explained with the help of Amazon’s profit function: the lower the price, the less profit makes Amazon. Of course, a high price leads to the fact that users either do not buy at all or but it from a cheaper competitor. It is therefore important for Amazon to find the right balance between price and quantity in the marketplace. Balance means that the price is as high as possible for Amazon to pay the highest fees and at the same time low enough that Amazon does not jeopardize its reputation as a price leader and does demotivate users and give its competitor an edge. For sellers, the important point is that Amazon does not always win the most favorable price but can also contribute a price increase to increase sales. On all these factors, the optimization can be actively and purposefully done to optimize the rankings or optimize the buy box. 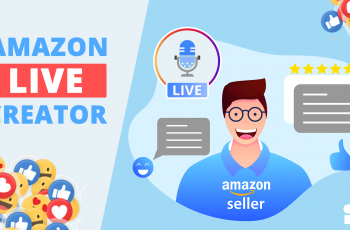 Amazon SellerApp is an analytics platform that helps Amazon sellers improve their Amazon rankings by finding the right product, optimize product listings with the best Amazon keywords and search terms, and win the buy box. SellerApp helps you build a profitable online business and a successful Amazon Seller. Signup on SellerApp to boost your Amazon sales.